PayStand is a next-generation business to business payment company on a mission to drive down transaction costs for merchants. By offering payments-as-a-service for a flat monthly subscription and pass through whole sale rates, PayStand helps organizations grow and keep more of their revenues. Due to our unique subscription model, we can keep our processing fees much lower than our competitors that will reduce your costs and save you more money. To find the plan that is best for your business check out our pricing page. PayStand makes it refreshingly simple for anyone to accept payments and sell online. From one single place, PayStand operates seamlessly on Facebook, Pinterest, Twitter, Blogs, and of course on any website. You can get started in just a few minutes, with no extra software, or complex coding required. You also don't need PayPal or another merchant account, PayStand makes makes payments affordable with the industry's first flexible 0% transaction fee option. We offer multiple payment methods, including eCheck, eCash, and credit card. PayStand's eCheck gateway lets customers pay you directly from their bank account, as easily as with a credit card. PayStand is easy to customize with your own branding, so your customers know they are dealing directly with you. We make available a rich set of APIs to embed our payment technology in your existing systems. 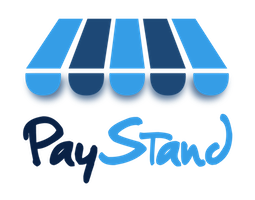 Head to PayStand.com to learn more about how PayStand works and join thousands of other businesses who have discovered how easy receiving money online can be with PayStand.